At Jay Mahler Recovery Center (JMRC), we provide intensive mental health and psychiatric treatment services in a safe, welcoming environment for adults experiencing a mental health emergency. We believe recovery starts from within, and that our job is to do whatever it takes to provide the support needed on your recovery journey. Our 16-bed facility includes a full staff of, clinicians, nurses, rehabilitation therapist, residential counselor and peers on-site and on-call 24 hours a day to provide wrap-around support. Our services are designed using Evidenced-Based Practices (EBP) such as Wellness Recovery Action Plan (WRAP), Dialectical Behavior Therapy (DBT), Mindfulness-Based Stress Reduction (MBSR), and Seeking Safety, as well as Telecare's Recovery-Centered Clinical System (RCCS). This system incorporates EBPs and innovative design components, and emphasizes choice-making skills, harm-reduction techniques and strives to awaken the hopes and dreams of the individual. The RCCS emphasizes "no-force first" practices. Staff work with individuals within their cultural dynamic in building independence and self-responsibility in order to foster their recovery and successfully transition them back to lower levels of care. Click here to View Referral forms. Our services are designed using Evidenced-Based Practices (EBP) such as Wellness Recovery Action Plan (WRAP), Dialectical Behavior Therapy (DBT), Mindfulness-Based Stress Reduction (MBSR), and Seeking Safety, as well as Telecare’s RecoveryCentered Clinical System (RCCS). This system incorporates EBPs and innovative design components, and emphasizes choice-making skills, harm-reduction techniques and strives to awaken the hopes and dreams of the individual. The RCCS emphasizes “noforce first” practices. Staff work with individuals within their cultural dynamic in building independence and self-responsibility in order to foster their recovery and successfully transition them back to lower levels of care. JMRC includes a full staff of, clinicians, nurses, rehabilitation therapist, residential counselor and peers on-site and on-call 24 hours a day. Family members can contact individuals at JMRC by calling the main number at (510) 357-3562. 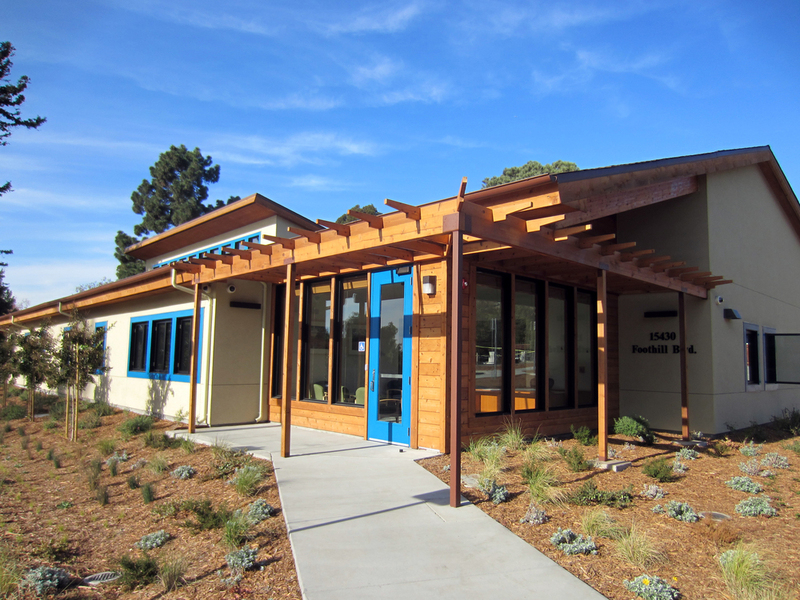 The Jay Mahler Recovery Center is named after a longtime mental health consumer advocate in Alameda County, Jay Mahler. Starting in the 1960s as a student in Berkeley, California, Mr. Mahler spent years in and out of mental health treatment programs. In the late 60s, after he went back to school to major in psychology, Mr. Mahler helped found Mental Health Consumer Concerns and California Network of Mental Health Clients, was appointed by the Governor to the California Council on Mental Health from 1979-1985, and served on the Alameda County Mental Health Advisory Board, the Fairmont Hospital Advisory Board, and the Eden District Mental Health Committee.